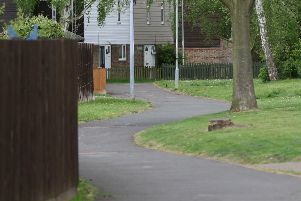 Police are looking for thieves who took a white tipper van from one area of Deeping St James and left it in another. An LDV convoy white tipper van was stolen from Linchfield Road, Deeping St James. at 2.30am on Wednesday and later found in Eastgate, Deeping St James. Anyone with information should call police on 101, quoting incident number 19 of May 18/05/16.